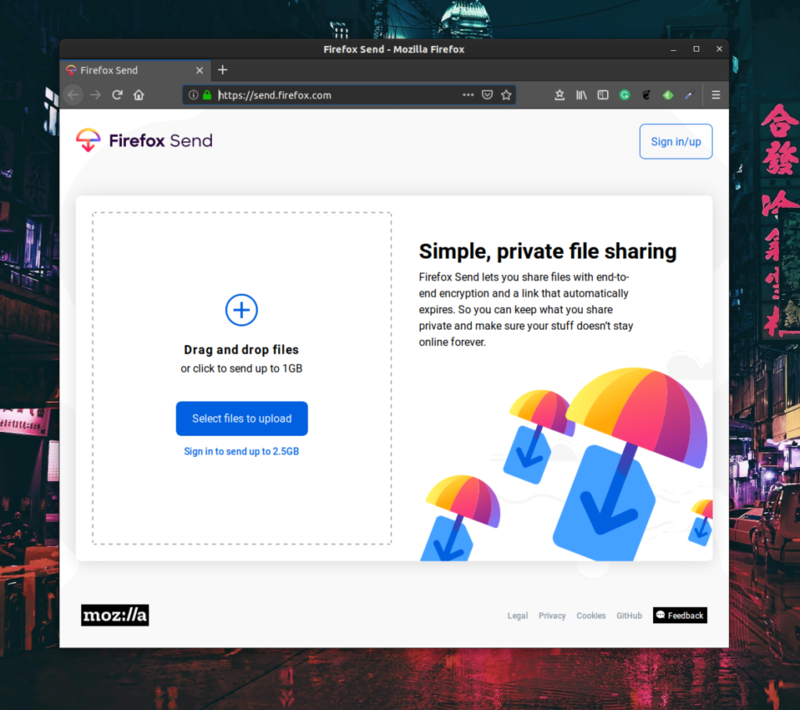 Firefox Send lets you share files up to 2.5GB with end-to-end encryption and with automatic expiring links. So you can keep what you share private and make sure your stuff doesn’t stay online forever. And it’s made by Mozilla. Send is a free encrypted file transfer service that allows users to safely and simply share files from any browser. Additionally, Firefox Send will also be available as an Android app to share files quickly from smartphones. With Send, you can feel safe that your personal information does not live somewhere in the cloud indefinitely. Send makes it easy for your recipient, too. Simply a link to click and download the file. They don’t need to have any account to access the files. Overall, this makes the sharing experience seamless for both parties, and as quick as sending an email.